I.LOVE.AMSTERDAM. 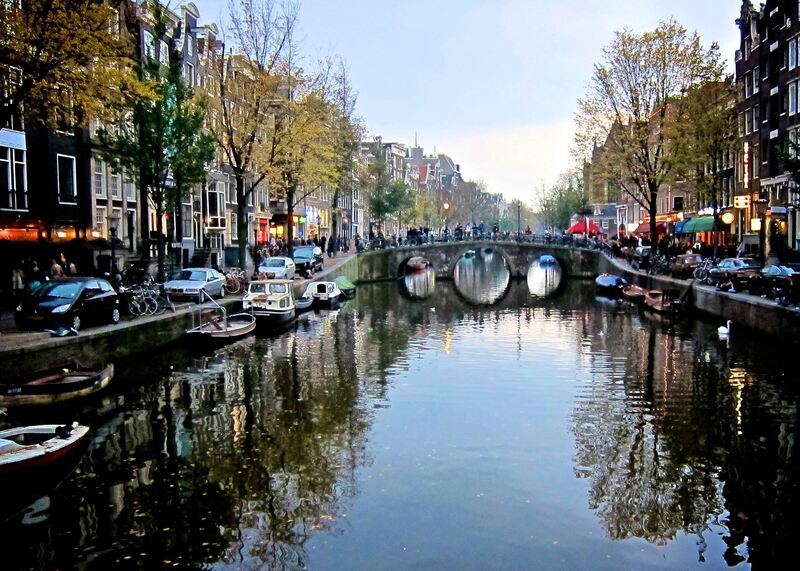 The city is decorated with canals and bicycles EVERYWHERE! There’s a little something for everyone in this city. Amsterdam is not a city you want to drive in due to the many bicyclists but once you park, you won’t need your car for the duration of your stay. In fact, we walk everywhere; however, there is public transportation to get you to all your destinations. There is a lot to see and do in Amsterdam as the city is full of culture… and I don’t mean just the recreational smoking type of culture although it is prevalent and can be smelled by passing the coffee shops (not to be confused with cafes). Nonetheless, Amsterdam is still a family friendly city with certain pockets that can easily be avoided. Because our Amsterdam trips were typically made on a whim, we were lame and stayed at the Marriott with points. It was a fine business like hotel that was clean and comfortable but lacking in personality. I had also stayed at the Singel Hotel back in 2008 and it was small but did the trick….think dorm room. When in Amsterdam, do as the locals do: rent bikes, of course! There’s a bike shop at the train station called MacBike but this website will provide other bike rental locations within the city along with some tips. All bike shops should provide you with a lock for your bike…you will want to use this! Overall, I think biking through the town is the best way to see the city…forget the trams, embrace the bike! On a pretty day, Vondelpark provides a beautiful backdrop for cyclists or those who wish to stroll and smell the roses tulips. The Anne Frank museum (located at Prinsengracht 263-267) is both interesting and humbling. How 8 people can live in such small quarters for 2 years, with no sunlight and trying to be as quiet as possible, fearing for their lives, is beyond comprehension. The museum is very well done, providing some small video clips and pictures along with lines from Anne’s diary throughout. DO buy your tickets online ahead of time. The line quickly wraps around the neighboring church but a prepaid/scheduled ticket will allow you to bypass all lines and lead you straight into the museum. Your entrance with prepaid tickets is the left door next to the one with a huge line…why everyone doesn’t do this, I’ll never know. Plan for your visit to take at least an hour; however, there won’t be much time to loiter as the line keeps you moving throughout the house. After about the 5th time of seeing the museum, I often would walk down to Spanjeren van Twist for a tea or snack. They had many delicious gems on their menu and I always wanted to come back for lunch but never made it. Check out the red light district during the afternoon before dark. This area is safe. Just be responsible. The red light district is so interesting to me. As I understand, it’s very regulated by the government…prostitution that is. The girls (and guys!) are tested weekly or biweekly for disease and if they contract aids, they’re offered safe housing to live in and get them off the streets so they don’t spread the disease. The Van Gogh museum is my favorite art museum to date. This rather large museum takes you through all of Van Gogh’s work from his early life to death and tells the story of his often desperate and dark mental state. The lines to this museum get rather long so I would suggest buying tickets online ahead of time and getting there early to avoid the afternoon crowds. Between the Ann Frank museum and Van Gogh, one could spend all day in lines and miss out on the natural attractions Amsterdam has to offer. The Rijksmuseum is the national museum of The Netherlands. 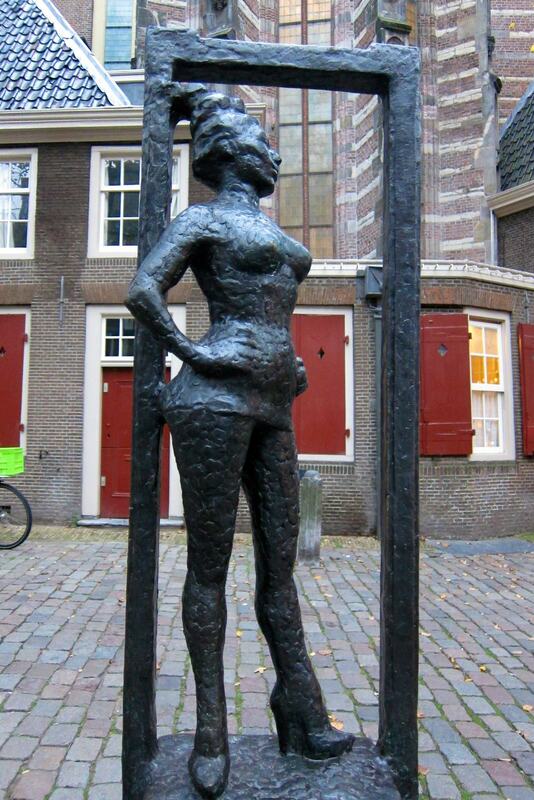 It’s art represents the history of Holland from the middle ages through the current century. It includes including Rembrandt van Rijn’s Night Watch and Johannes Vermeer’s The Milkmaid. Unfortunately, we never put the Rijksmuseum high enough on our priority list to make it. I’ve heard the lines get quite long and the museum is a bit pricey but Trip Advisor gives it must-see reviews so if time permits, pop on over. The Belgians may be known for their waffles but the Dutch are known for their pancakes. Try some but do know that they’re more like a crepe…which is kind of a WIN unless you’re expecting American pancakes… I like mine drizzled with blueberry compote. mmmh! They also stayed at Estherea which looked super cute and the Banks Mansion was also recommended. This entry was posted in Amsterdam, Travel and tagged Amsterdam, anne frank, bicycles, bikes, Europe, macbike, museum, red light district, The Netherlands, travel, Van Gogh. Bookmark the permalink. Pagerank contextual backlinks in order to rank your page. but contextual backlinks are the best type of backlinks.